Leasing Available from $17.08 per month! Built-in with the cutting-edge image processing engine and USB 3.0 connectivity, the AD260 delivers duplex scanning speeds of up to 120 images per minute in Color, Grayscale, and Monochrome (300dpi). Combining reverse roller and advanced paper feeding technologies, the AD260 balances high performance with exceptional feeding reliability across a wide variety of scanning situations. The AD260 also boasts a unique and innovative design in comparison with its predecessors - the ability to accommodate document width up to 242 mm (9.4"). The extended document width from standard 216 mm (8.5") to 242 mm (9.5") makes the AD260 more competitive to fit for a wider range of documents. Thanks to the advanced straight paper path and image processing technology, mixed batches of documents with varies sizes and weights can be scanned, appropriately cropped, deskewed, and ready to use. 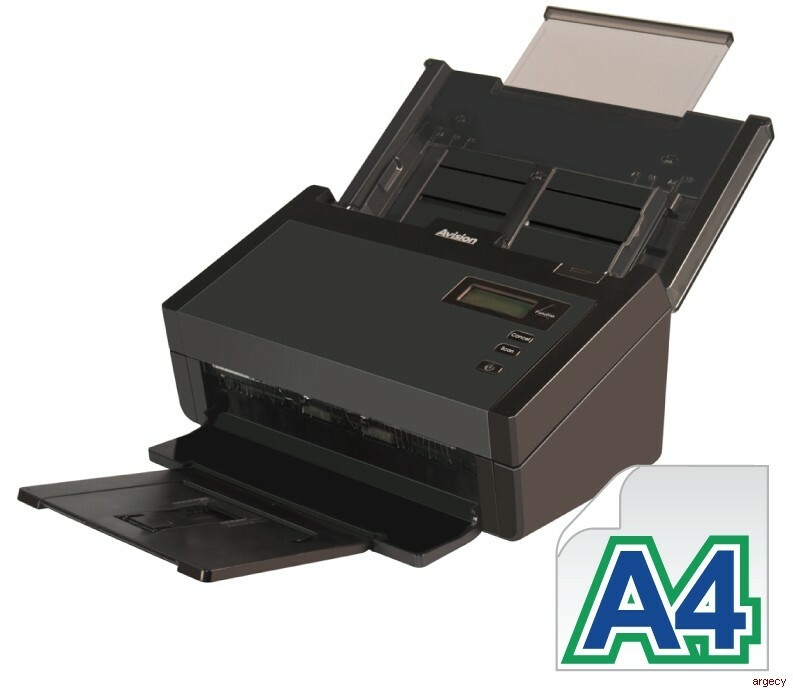 Scan size accepts paper from receipts 50 x 50 mm (2" x 2") to business document 242 x 356 mm (9.5" x 14"). The auto document feeder is also robust enough to feed paper up to 400 g/m2 (110 lbs) and embossed hard cards such as ID cards, credit cards, driver's license, and health insurance card up to 1.25 mm in thickness. The AD260 is easy to use through the enhanced LCD display which allows 128x 32 dots (16*4 characters). By selecting your destination and pressing the -Scan- button, the scan can be done and the scanned image can be sent to your specified destination application such as e-mail, printer, or your favorable image-editing software application. Up to nine frequently used scan settings and destinations can be preset for different scanning needs.